Please share this with contacts and colleagues. It is an issue of deep concern to people here at Ngukurr. 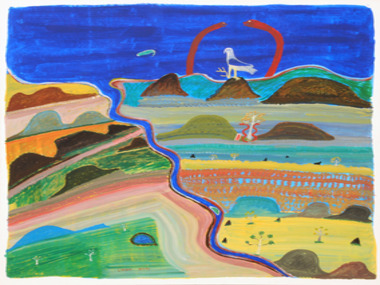 "If you are familiar with the artworks of the late Ginger Riley, then you would know Limmen Bight Country and Maria Island, and its sacred importance to all people who hold ceremonial rights in the area. It is imperative that they are listened to, and have their rights reserved in regards to this very special place that was significant in Marra Creation Story. Please express your concern on this matter to any Federal Ministers, members of Parliament, and, most importantly, the media.